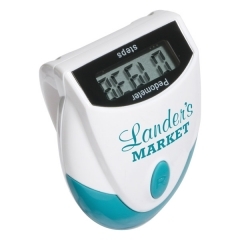 Finding new promotional gifts that brings you close to your business success goal is not easy. 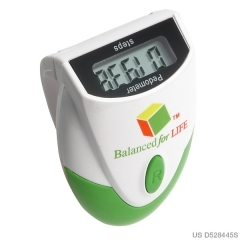 The custom designer top view pedometer is a perfect gift for anyone who is health conscious. 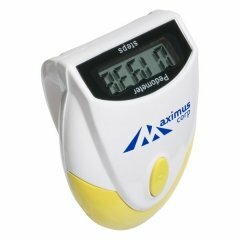 This orange device measures 2-1/8” x 1-1/2” x 1” and provides an attractive platform for your brand imprint. 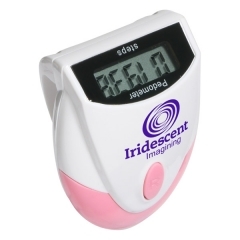 The promotional designer top view pedometer is a stylish way to record your customer’s activities. It counts about 99,999 steps taken. 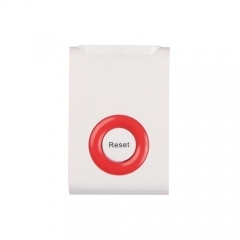 This will be displayed on the top view LCD display. The energy saving auto shut off and idle mode function is a highlight of the device. The clip provided makes it easy to clip on to the belt. 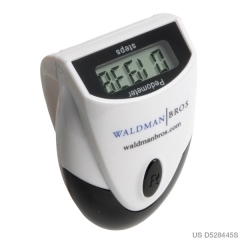 The personalized designer top view pedometer has a single button battery inserted in it.